Indonesia is a growing market which offers many opportunities and is filled with great potential of investment from global investors all around the world. Thanks to its needs in infrastructure, the width of its internal market, its large population and most of all, its abundance of natural resources, it had attracted attention of many foreign investors globally. However, to be able to invest in Indonesia, you are required to acquire a business registration number in Indonesia. In this Article, you will be provided with the procedures to obtain a business registration number in Indonesia and its purpose. Companies that have a business registration number in Indonesia will be listed in the list of state-recognized companies in Indonesia. With this recognition, the public will believe in all the performance and activities claimed by the company. Acquire the approval on the name of your company from the Minister of Justice and Human Rights of the Republic of Indonesia. This would take 4 working days to receive an approval. Obtain the approval from Indonesia Investment Coordinating Board (BPKM), this may take 12 working days or more to acquire. Provide the preparation of the Articles of Association (Akta) which was legalized by the notary. This preparation may take approximately 4 working days. You would need to have the certificate of domicile from the local government office. This certificate may take at least 3 working days. You also must acquire the tax identification number or NPWP for your company in Indonesia. To obtain this tax identification number, it may take approximately 3 working days. After that, you need to open an account in a bank on behalf of your company. This will normally take a day to open the bank account. You need to obtain the deed of establishment for your company from the Department of Law and Human Rights of the Republic of Indonesia for about 20 working days. You should obtain the company registration certificate from the local government. To get this certificate, it may take approximately 20 working days. It is possible to open an Indonesia corporate bank account without being physically present in Indonesia. With the help from us at Paul Hype Page, we would be able to assist you with opening your corporate bank account online. After obtaining the business registration number for your company in Indonesia, you would be required to choose a location to set up your physical office in Indonesia. Do note however that you would be required to refer to the Negative Investment List for your business location as some business activities are prohibited in certain areas. You should have already planned out how your operations are going to be taken place in your company. By planning out and start your operations once your company is set up would save you lots of money and time. You would be required to figure out as to how many foreign employees you will be hiring in your company. This is crucial as you would be required to comply with regulations in regards to obtaining the work permit for your foreign workers. 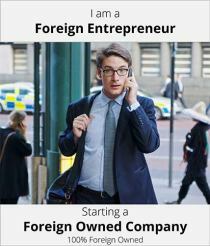 Click here for further clarifications on employing a foreigner in your company. Do note however that obtaining a registration number is just part of the company registration procedure in Indonesia. For further clarification, you can refer to here: Indonesia Company Registration.